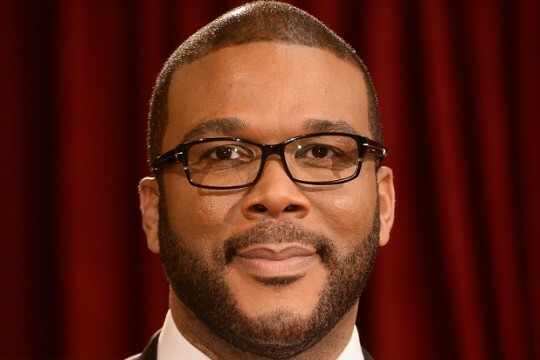 After showcasing some surprising dramatic chops in last year’s Gone Girl, Tyler Perry has boarded biopic Brain on Fire, starring alongside Chloe Grace Moretz. Based on Susannah Cahalan’s New York Times bestselling memoir Brain on Fire: My Month of Madness, the award-tipped drama will center on Susannah (Moretz), a rising journalist at The New York Post who inexplicably falls victim to an unknown illness that causes her to hear voices, hallucinate and become violent. Terrified but unable to prevent herself from descending further into insanity, Susannah faces the possibility that she’ll never recover – until one doctor provides a diagnosis that may hold the key to a cure. Perry is set to take on the supporting role of Richard, who oversees Susannah at The New York Post and shocked to see her condition transform her. Thomas Mann (Me & Earl & the Dying Girl), Jenny Slate (Obvious Child), Richard Armitage (The Hobbit) and Carrie-Ann Moss (Memento) are all signed on to play supporting roles in the pic, which is intended as an awards season vehicle for Moretz. Brain on Fire is currently shooting in Vancouver, with plans to release next year. “A fascinating look at the disease that . . . could have cost this vibrant, vital young woman her life” (People), Brain on Fire is an unforgettable exploration of memory and identity, faith and love, and a profoundly compelling tale of survival and perseverance that is destined to become a classic.